Today is the first day of a series – “Kid turns Teen” Room Series. Last week I shared with you the vision for my son’s room using Olioboard. I love using these boards because it gives me the opportunity to see my vision come to life and tweak it as I see fit. 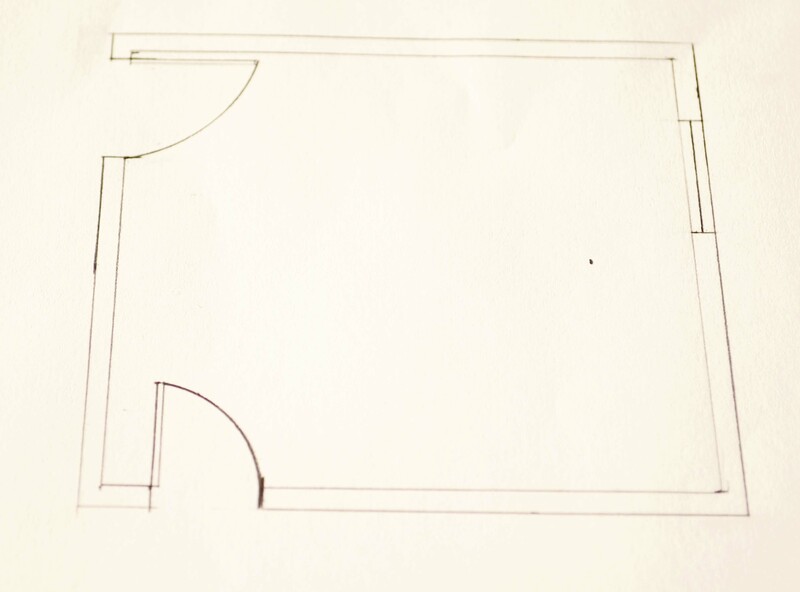 I also enjoy drafting a floor plan for the space I live in. 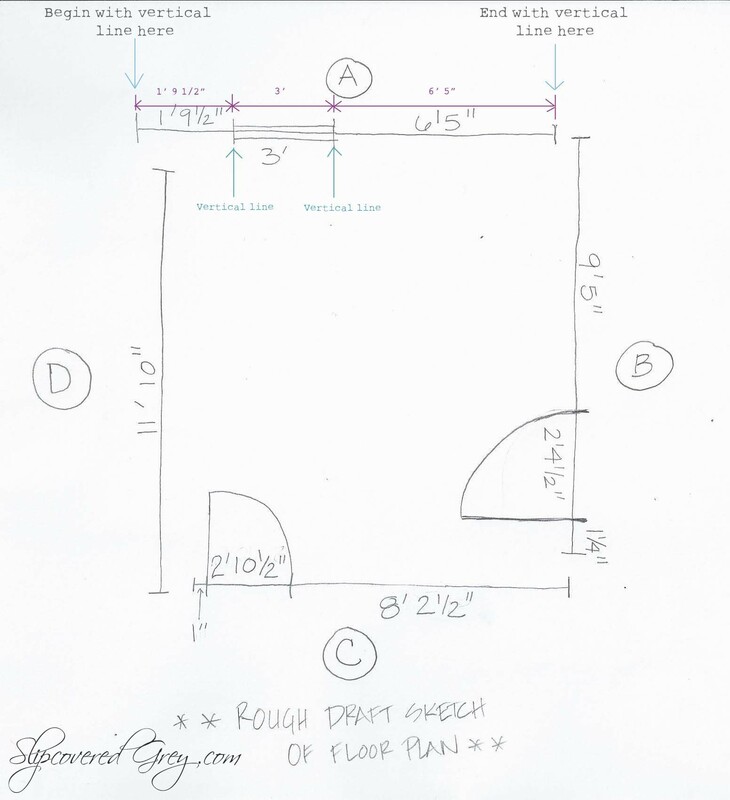 When planning out a room sometimes it is a challenge determining what furniture will work in a space and drafting gives me the opportunity to move furniture around and see the flow of a space. 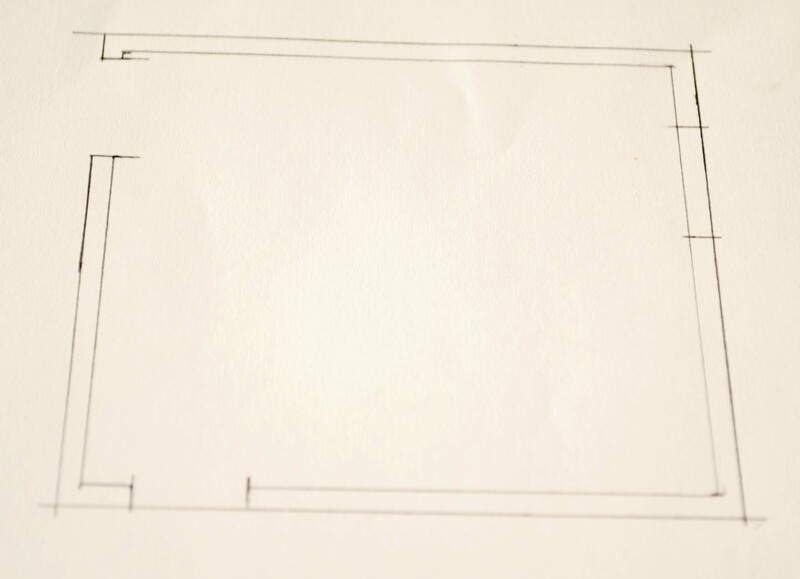 Floor plans also help convey ideas to an architect or designer. Having basic drafting knowledge is a plus. I have taken several years of Interior Design courses and worked for Interior Designers. While doing this work my favorite was drafting. 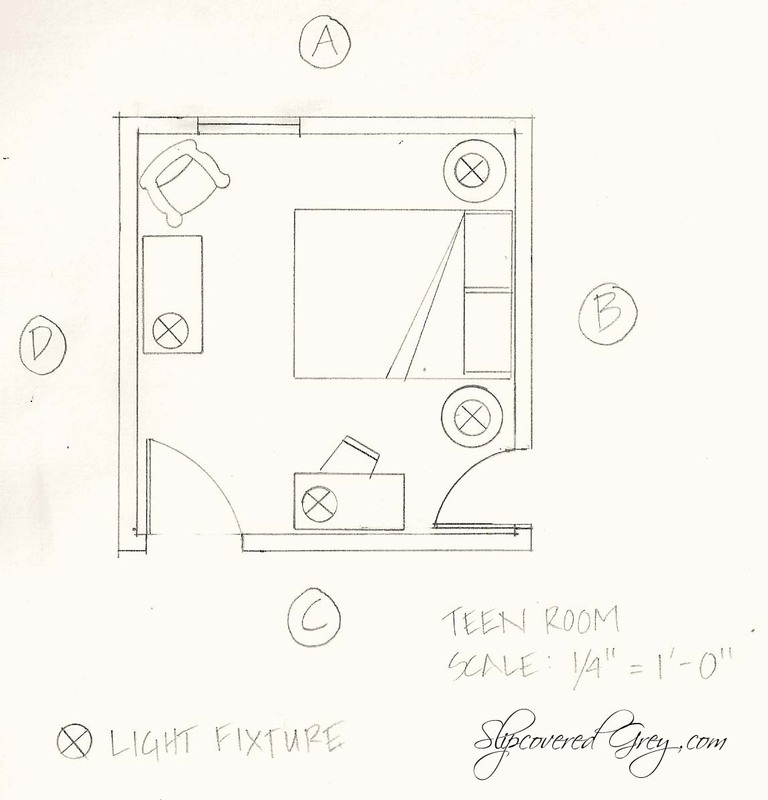 I enjoyed looking at a blank space and making it come to life with a basic floor plan. I am going to share with you drafting secrets so you too can draft a plan. This is basically a rough sketch of the area. 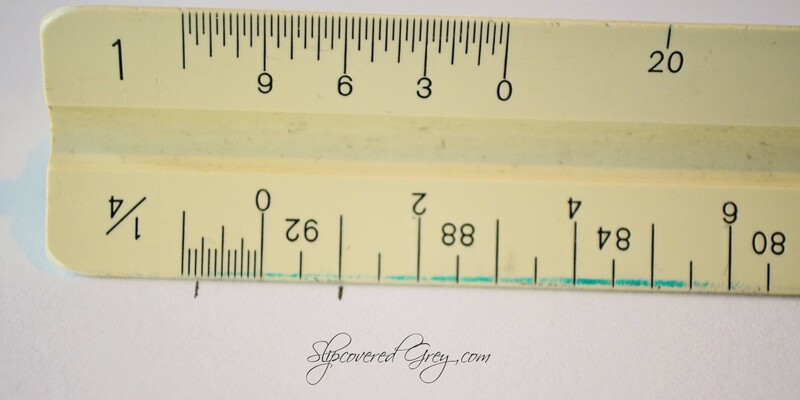 Start measuring in a corner of the space and work your way around the room. 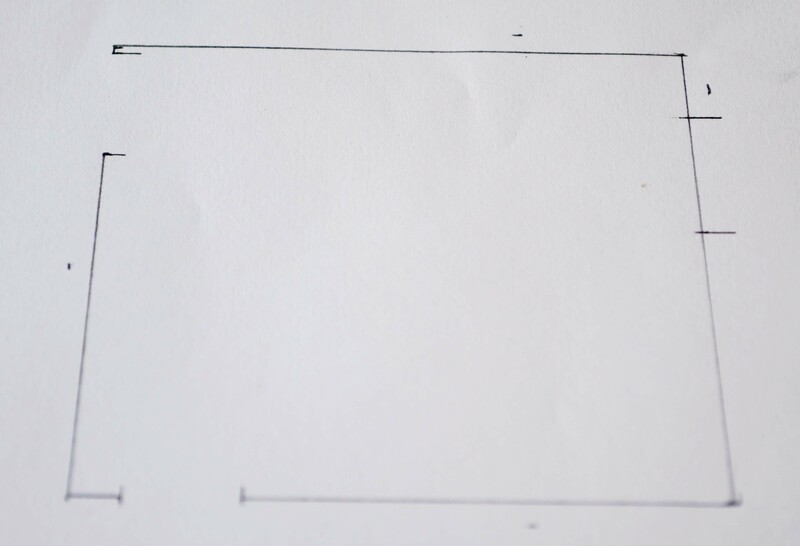 On your paper use a vertical line for the beginning of the wall measurement. Measure the wall until you reach an opening, such as a window, door, or closet. Measure the window, closet, or door dimensions and draw a vertical line at the beginning and end of each measurement. Continue measuring the wall until another opening or you meet the next corner of the wall. 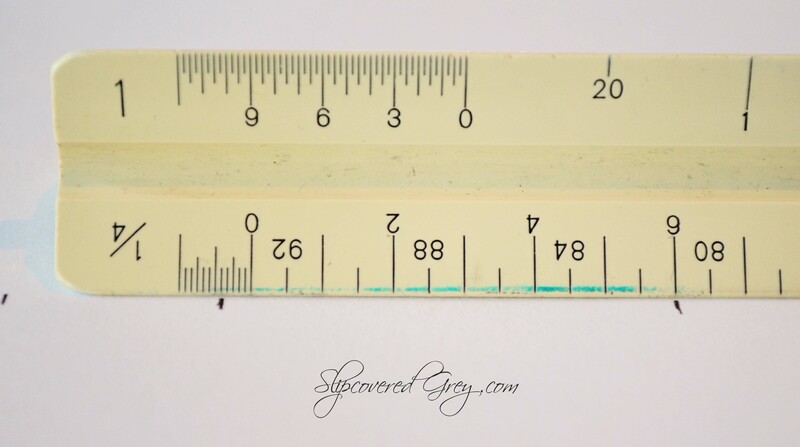 End the wall measurements with a vertical line. Each wall is treated as it’s own entity. 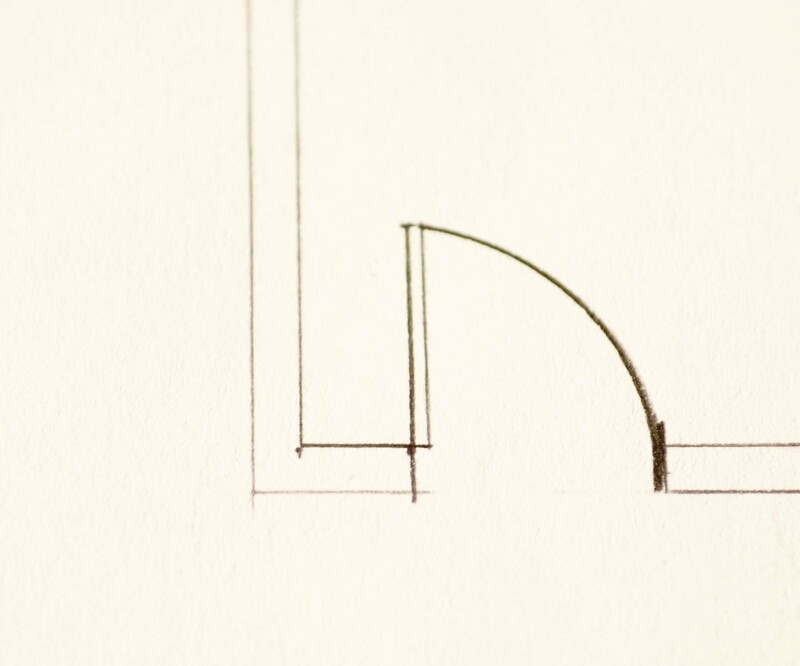 I use vertical lines for beginning and ending of all walls and openings. See Rough Sketch below.. The sketch above shows four walls. I labeled them A,B, C, and D. Each wall is measured separately with exact measurements for that wall. You can see how all walls start and end with a vertical line. At this point the walls are not connected. The below sketch shows how vertical lines are used for every opening. In this case the window is defined by a vertical line on either side. The measurements are included underneath each of the wall lines. Easy, right? Trust me, these vertical lines come in handy when you are drafting. I can’t remember if they taught this in my drafting classes years ago, or if this is something I did as time went by to save me time. Either way, this is what I do and it works for me. This is really a “Rough” Draft. I have scribbles and eraser marks, but as long as the measurements are accurate, my writing is legible, and my vertical lines are defined from wall to wall, a neat floor plan will be the result. 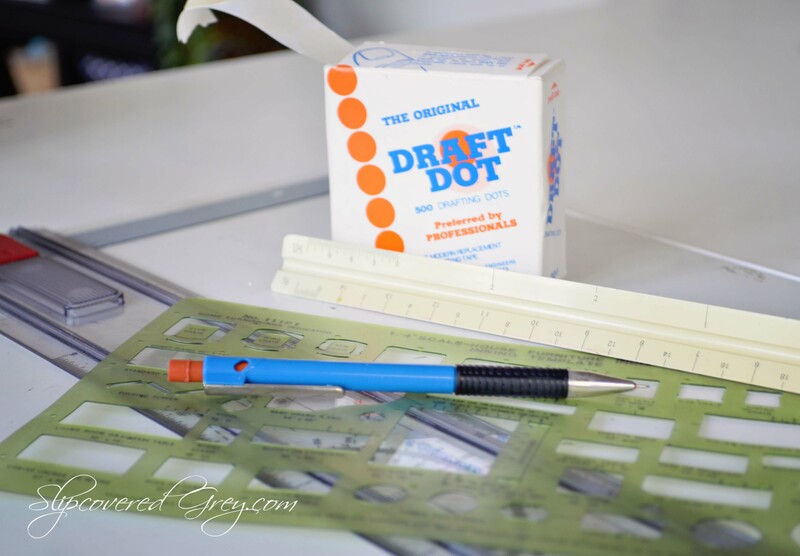 These are the drafting supplies I use, however, you may find that something works better for you. Use what works for you. Line the paper up straight with the t-square and tape the paper down on the drafting board. Professionals use vellum or tracing paper, but in this tutorial I used printer paper. 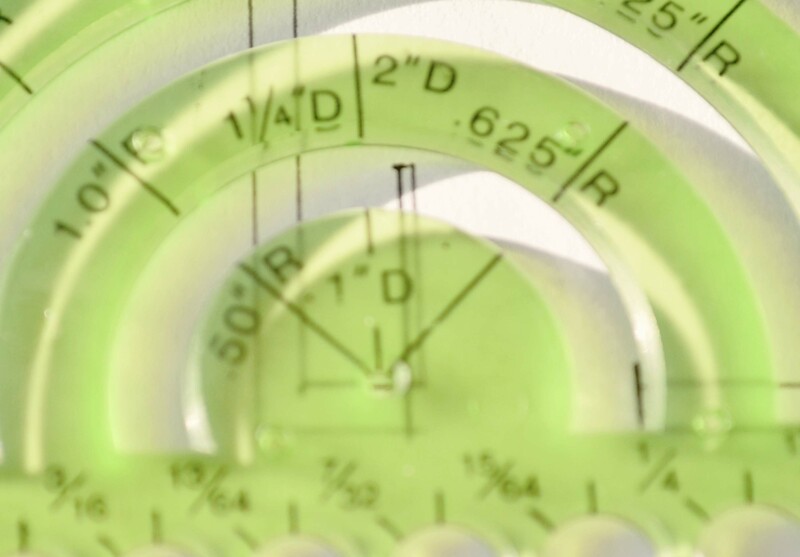 Plans are usually drawn 1′ = 1/4″, so with our architectural ruler we will use the 1/4″ side. 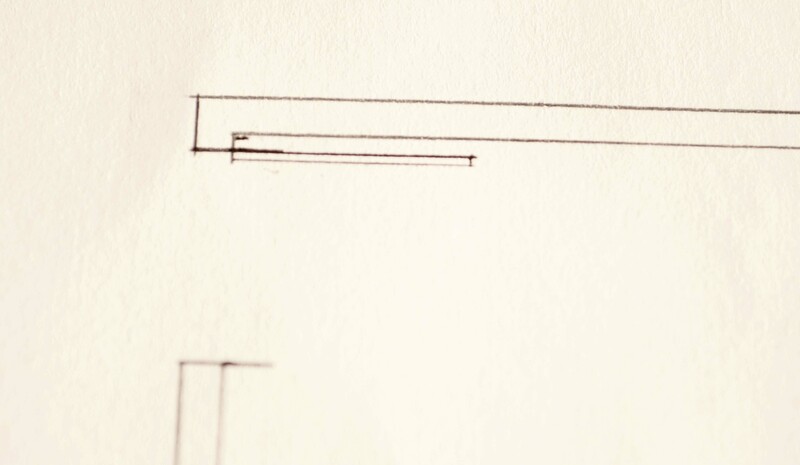 Using the rough draft and wall “A” begin by marking the measurements. This is where the vertical lines come in handy. See below. Draw a line through all of the marks using the T-square or straight edge. 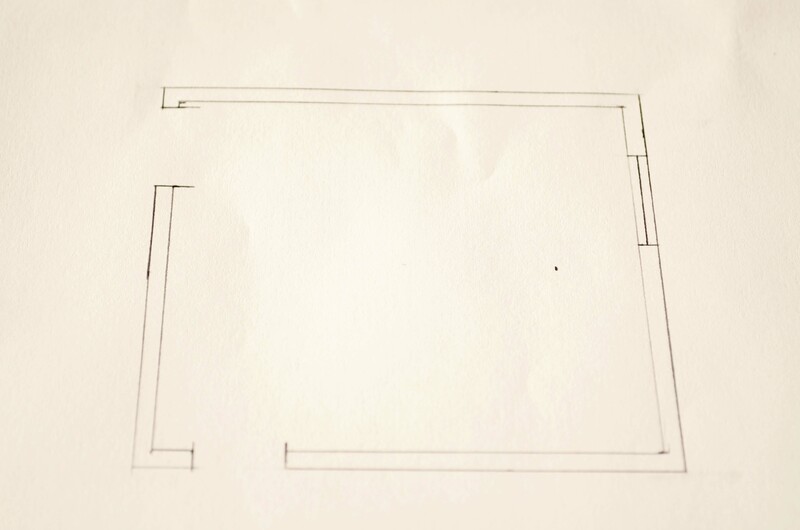 Floor Plan walls are 6″ wide. 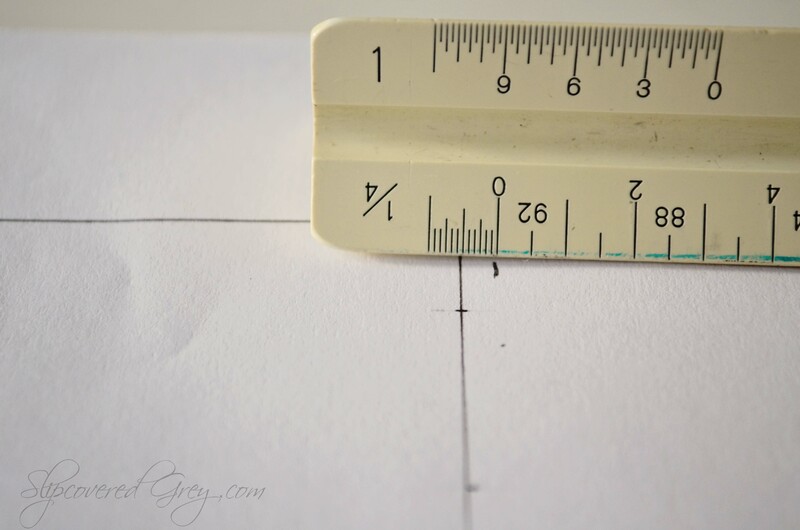 Measure and draw marks 6″ around the perimeter of the plan. Next extend the lines of windows, closets, and doors. 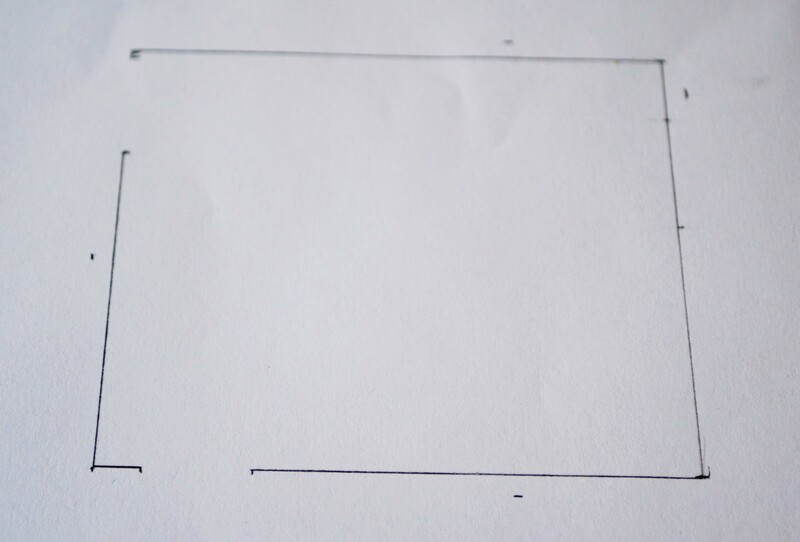 Draw the outside wall lines until connected. and doors, keeping in mind the direction of the door swing. Is it swinging into the room or out of the room? Here it swings into the room towards the wall. Use a template or freehand the door swing. 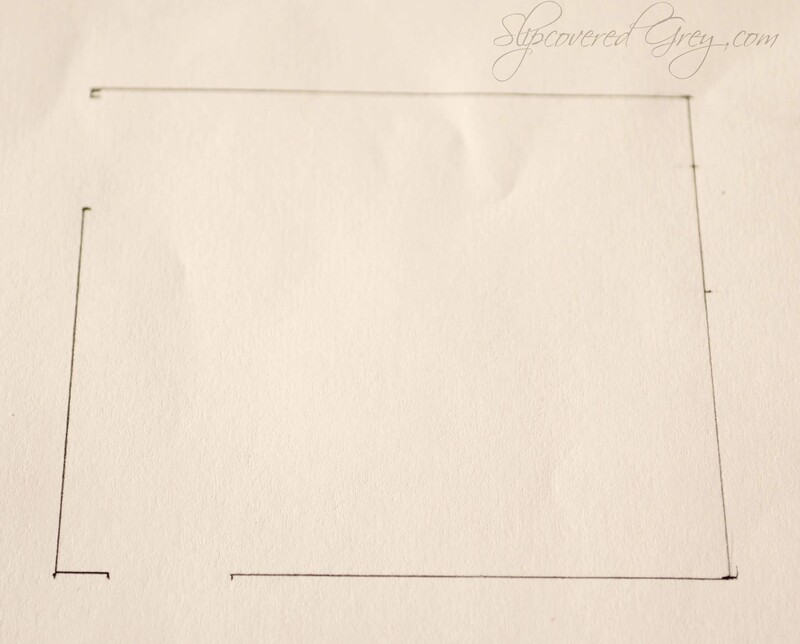 Now the floor plan should look like this. This is where my eraser comes out and I clean up my stray lines to make them look neater. art stores in the drafting section. 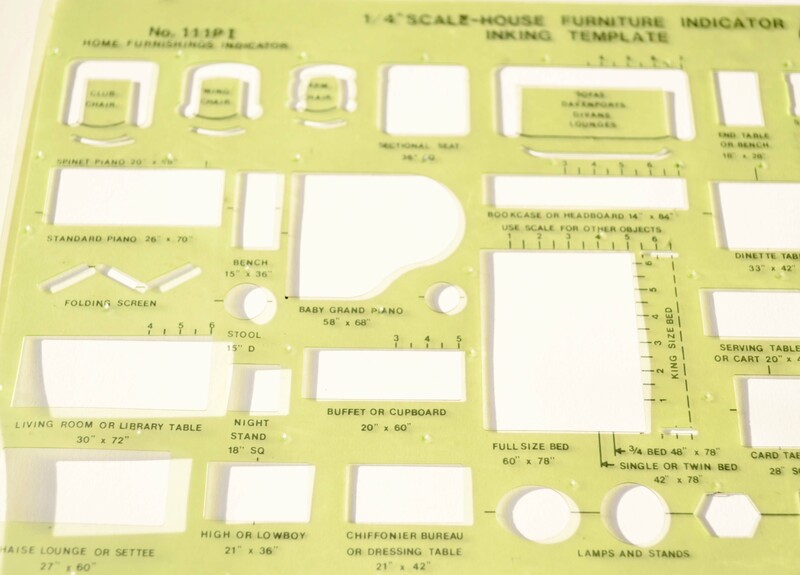 This is the template I use for furniture. 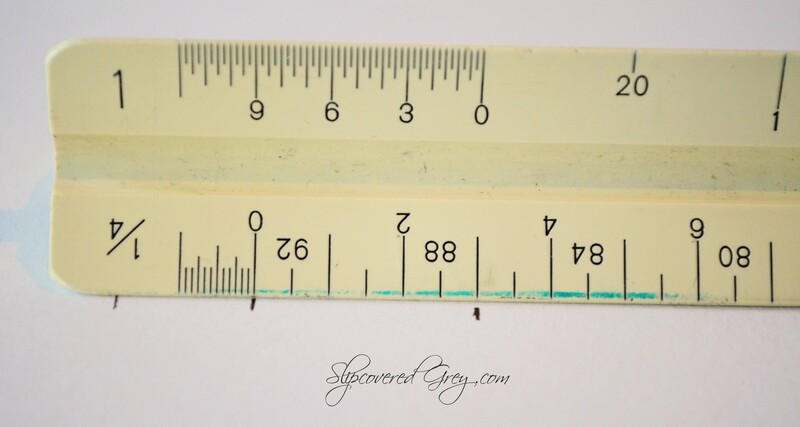 It is scaled to 1/4″. Furniture clearance is always something to keep in mind. Here is my finished plan. I labeled the walls for you and gave you a key for the light fixture. Also, it is very important to write the scale on the plan. Architects and designers will read your plan to scale and there will be no confusion. This is my vision for the Teen Room I am creating. It’s exciting to know my vision will come to life soon! 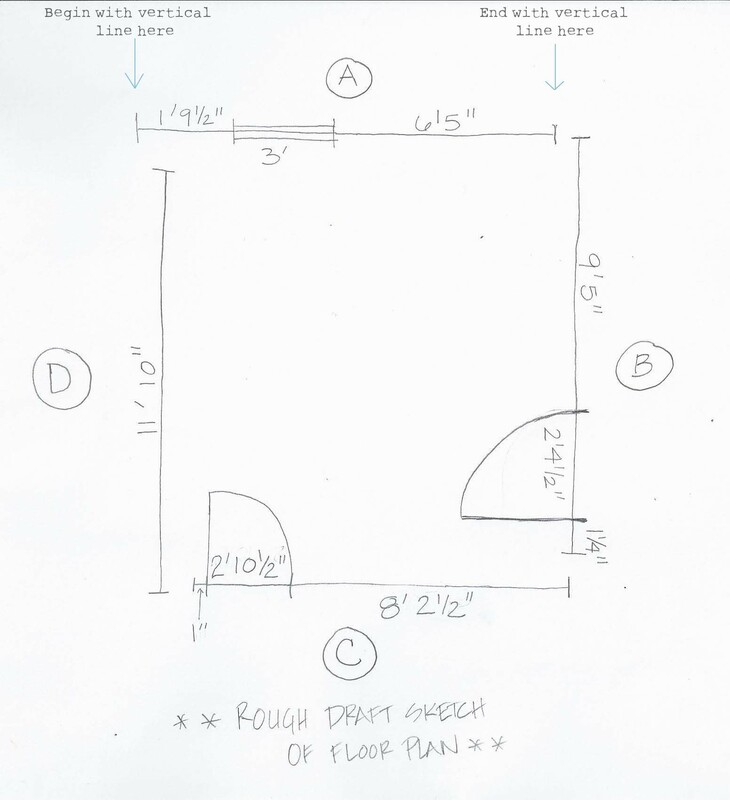 Have you drafted a floor plan to scale before? I hear you, Sheila! It is fun with cut outs to move quickly to feel the flow of the room. 🙂 Graph paper works perfect too, especially with creating the straight lines for the walls. You are welcome Betsy. Wow, I never knew your dad was an engineer! I bet he has some amazing drawings. Flying by the seat of your pants is exciting and fun. I am like that too. If I see something shopping and I don’t know where I am going to put it, I will purchase it anyway and make it fit somewhere.